A Year of Being Here: Stephen Levine: "Not Knowing"
"Not Knowing" by Stephen Levine, from Breaking the Drought: Visions of Grace (Larson Publications, 2007). Update (3/11/15): Thanks to some clues provided by YOBH reader Cee Joppe, I've located some information about the photograph. It originated online at this link, which unfortunately is dead. However, here's the caption (from 2011): "Yamar huurhen um be? 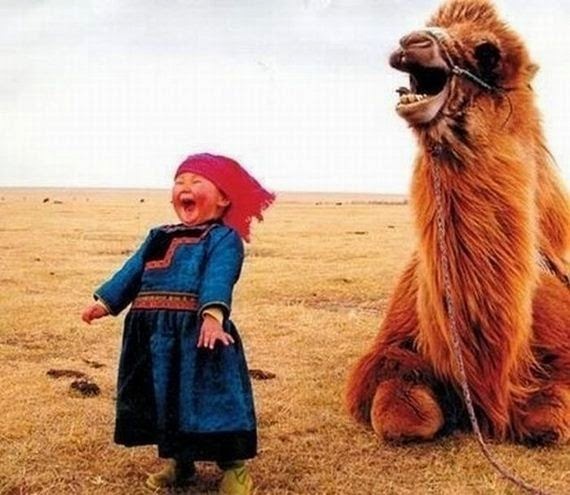 [Mongolian for `abundant in happiness'] I’m reblogging this picture from my Peace Corps Mongolia days with a tag since I’ve been seeing it around the web and around tumblr with no source. Enjoy and reblog away! The original source is my Mongolian friend Gangaa. The picture was originally taken in Khentii Aimag." Wonderful poem...delightful photo! Thanks for the day-brightener!